Australia’s AMA / Gemini Group has thrown its weight behind Industry 4.0 innovator Tradiebot Industries’ Repair-Bot project being developed in conjunction with Swinburne University. With backing from the Australian Government’s Innovative Manufacturing Cooperative Research Centre (IMCRC), the stage one, A$1.2 million collaborative Repair-Bot project is making use of 3D printing technologies and robotics along with novel materials to enable automated rapid repair service for plastic car parts. “We look forward to building our relationship with the AMA / Gemini Group as we work together towards developing new technologies, skills, materials and complex automated collision repair systems,” Dimovski said. 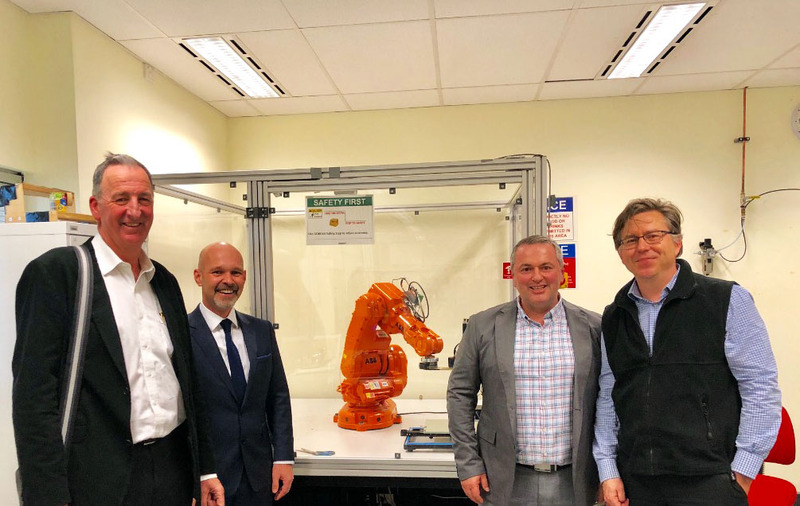 Swinburne University of Technology’s Dr Mats Isaksson said: “The Swinburne research team is excited to welcome AMA / Gemini as a collaborator on the Repair-Bot project with Tradiebot Industries. My team and I look forward to the added industry expertise that David Calder and his team will offer. As well as improving procedures in the automotive repair industry, the collaboration is being seen as a further sign that the A$7 billion Australian industry has started down the path of digital transformation, with technologies that have the potential to lead the world.